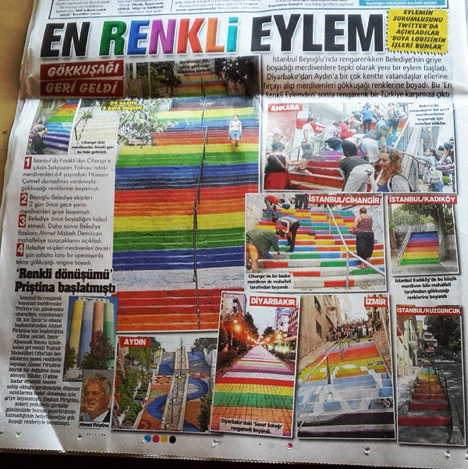 It started with a single person painting one public staircase, but when city workers of Istanbul, Turkey covered this brightly-colored street art with dull gray paint, citizen activists picked up brushes in rapid response. 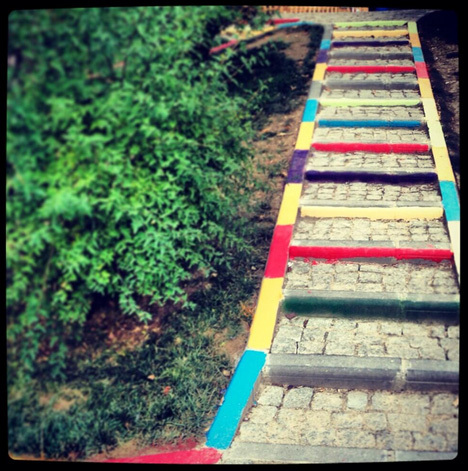 Thus escalated an isolated incident into a quiet but powerful city-wide campaign mixing politics, graffiti and beautification. 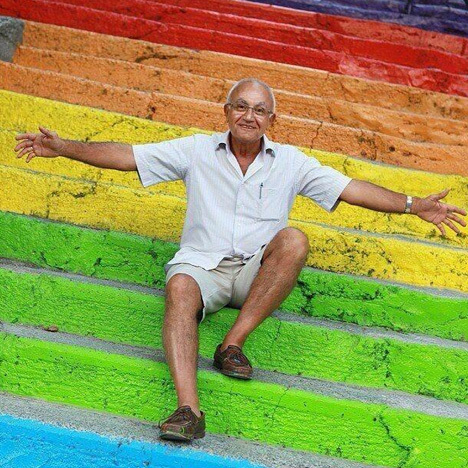 Aged 64,local retired engineer Huseyin Cetinel spend reportedly $800 on paint simply to make the steps in his area more attractive – he notes that nature is colorful, and suggests simply that cities can be as well. As images of his work began to go viral online, many viewers saw it as a call for equal rights – a political statement. 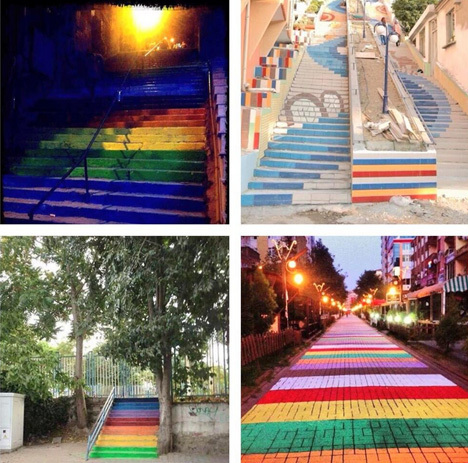 When the municipality painted the original stairs over (then initially denied doing so, adding to the confusion), that act was perhaps inevitably interpreted through a polarizing lens as well. 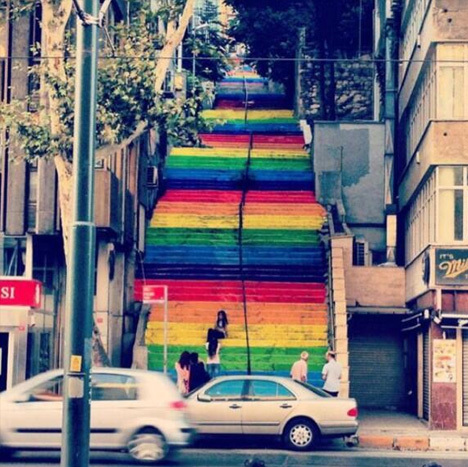 Twitter and Facebook were awash with calls to color other sets of stairs around the hilly city, and a quiet war fought with guerrilla art began … the city whitewashing (or gray-painting) newly-colored staircases as people kept on recoloring them, before finally agreeing to let the steps be painted as the citizens wished.